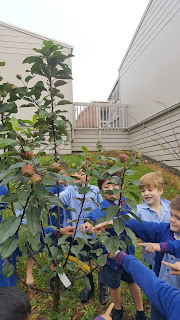 Today in the Junior School, we were learning about all the different varieties of fruit. 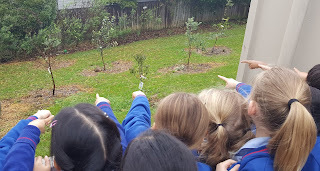 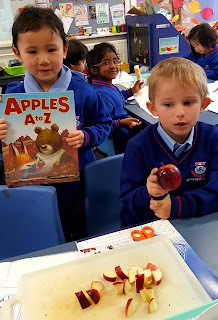 We investigated the fruit growing in our orchard, read 'Apples A to Z', ate apples and even created our own fruit alphabet. 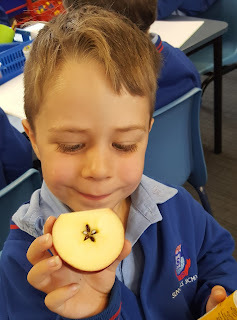 Did you know xigua is the Chinese name for watermelon? We're growing our own fruit for a sustainable future. What food do you grow at home?